There are many ways scammers can get a hold of your information. We’ve talked about many of those ways right here at InHomeSafetyGuide.org. For example, you should never click hyperlinks in suspicious emails, friend people you don’t know in real life on Facebook, or give out your Social Security number when making an online purchase. 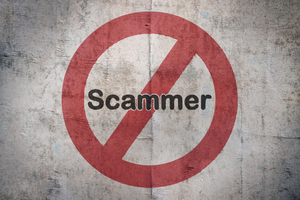 If only following a few set-in-stone rules is all it takes to protect yourself from scammers. Unfortunately, scammers play by a different set of rules every day. As soon as you get a handle on one of their nasty tricks and you learn not to fall for it again, they come up with something new. All you can do is stay up-to-date on the latest techniques so your information doesn’t get into the wrong hands. Here are 3 new and clever ways scammers are trying to steal your information. This technique has the potential to be the least dangerous of the three on the list because it is often just a ploy by telemarketers, but it is a technique scammers use to get you to answer the phone. What do you do when the phone rings, but you don’t recognize the number? Chances are, you just let it go to voicemail. Well, what if you kind of recognize the number? Like maybe it’s showing up on the caller ID like a government agency? Or maybe it just has the same area code as your location? You’re probably more likely to pick up the phone. Well, scammers use this to their advantage. It’s called caller ID spoofing. Using an internet program, they simply enter the information they want to have shown up when they call to increase the likelihood of you picking up the phone. Then, they can get you to divulge personal information. If the call is from the government, don’t pick up, or hang up right away. They don’t call out of the blue. If they’re going to call, you’ll know it. No matter who the caller claims to be, never give or confirm your personal information over the phone. Only if you have made the call to a reputable company should you provide your information. Never wire money or send money on a reloadable card, no matter what the caller ID says. If at any point during the conversation you feel pressured, hang up right away. When in doubt, it never hurts to let the call go to voicemail. If it’s someone important, they’ll leave a message and you can return their call. Telemarketers are getting better at thinking you’re listening to a real person, even though it’s a recording, so they can get someone on the line. Well, scammers use this technique too. Only, the end goal isn’t to get you to reveal personal information. It’s simply to get you to say yes. It works like this: The phone rings. You pick up the phone and say hello. The person on the other line asks if you can hear them. You say yes. That’s it. Why does a scammer want to get you to say yes? They record you saying yes. Then, they can play back that recording to make it sound like you’re agreeing to purchase goods or services. They then put the pressure on you to pay the amount you supposedly agreed to. What can you do about it? Hang up immediately, even if you feel like you’re being impolite. In general, someone should start a conversation before worrying if you can hear them or not. You’ve likely heard of phishing before. This occurs when emails are sent for the purpose of getting people to provide their personal information. They can be very effective because the person on the other end may pose as a government agency or a bank. Although email is still widely used, it is yesterday’s news. Scammers are now on to using text messages. This is called smishing. It’s a combination of the terms SMS text messaging and phishing, just in case you were wondering where the term comes from. Instead of emailing you, the scammer sends you a text message. It could be an IRS notice or a notification that there’s been some unusual activity on your bank account. It’s so effective that seven times more text message scams are now sent as compared to email spam. That’s because three times more people respond to text scams as compared to email scams. How can you tell if you’re receiving a real text message or not? In general, the text will ask you to click on a link. Don’t. That link will send you to a fake, although very convincing, portal where you can enter your information. It’s also helpful to know that banks, government agencies, and reputable companies will not send texts. Especially ones where your personal information is required. It’s important to be vigilant because scammers’ techniques are changing all the time. Keep your eye open for these scams and be on the lookout for new ones to keep your information and your identity safe.